Qualifications Required: Hard-working and passionate, being handy with your hands is a big plus! Training and Support: An extensive one-week training at the HydroKleen Management Academy Training Centre provides Franchise Partners with Sales, Management, Marketing, Administration, and Technician training also includes on-job cleaning with an existing Franchise Partner. Ongoing training and support is provided by the National Support Office Team. Marketing Support: HydroKleen's dedicated Marketing support team provide training and support to assist you with your Marketing plans and initiatives to grow your business. Training includes prospecting, databasing, branding and dialogue. 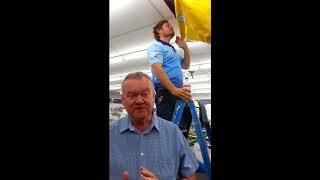 HydroKleen is the world leader in cleaning and sanitising split system air-conditioners. HydroKleen is Australian owned and the only company to design its own wet wash cleaning equipment manufactured in Australia. HydroKleening will ensure you have fresh air, reducing sickness, power consumption and to help live a healthier lifestyle. HydroKleen’s cleaning system has been exclusively approved by the National Asthma Council Australia’s Sensitive Choice Program. HydroKleen undertakes commercial, industrial and domestic cleans including professional businesses, public companies, mines and government clients. With mould illnesses on the rise, a HydroKleen virtually eradicates microbial contamination, so your customers can Breathe Healthy AirTM. The best part about owning a HydroKleen franchise is you control your hours, you control your work conditions…. You control your life. A HydroKleen franchise gives you the independence you crave – you determine how many hours a day you work and how much money you make. You want more money, you simply work more hours. HydroKleen has proven, tested, reliable marketing campaigns. Ongoing training and development within the HydroKleen network. Systemised processes and support from Franchise Support Office and other Franchisees. 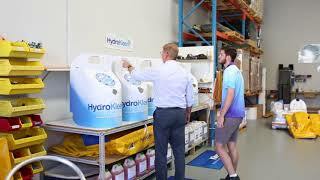 HydroKleen Australia is seeking interest for our available locations. Visit our website for further information on franchise areas available.